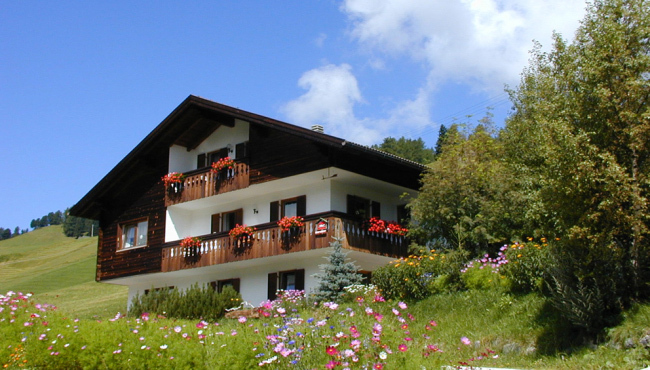 Our cosy accommodation with a fantastic view of the surrounding mountains is located on the sunny hillside of Selva some 1,5 km above the centre. A free bus running several times a day easily carries you to the centre or the skilift in the winter as well as in the summer. Especially in the summer, our guest house is the ideal starting point for numerous longer or short hiking trips in the nearby natural park Puez – Geisler. The best part of all is that you are extremely flexible because the car is unnecessary. Should you really fancy nature and be looking for a quiet and comfortable place to be -far away from traffic and noise of the town-, our bed and breakfast is exactly what meets your expectations. 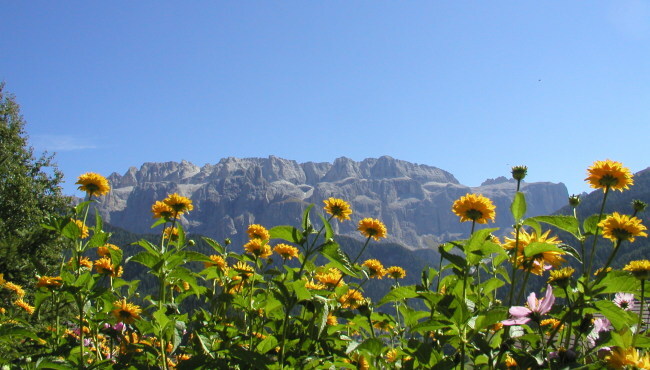 From our house, you can enjoy a breath-taking (no kidding) scenery as you are surrounded by the “Langkofel”, the “Seiser Alm”, the “Cirspitzen” and the “Sella”. You are definitely going to be enthusiastic. We would be pleased to welcome you at our place! 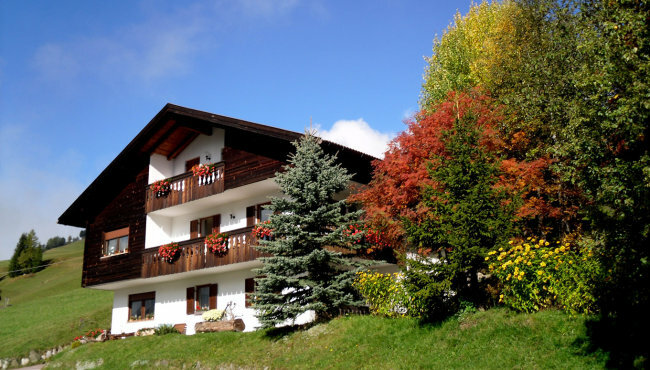 Save money during your holiday in Val Gardena! The ‘sun & fun’ time kicks off in Val Gardena and the Dolomites with the ‘Rock the Dolomites’ music festival between 16 and 24 March 2019. The festival will feature different bands performing across the mountain huts and après ski bars, getting you in the mood for the last ski days in the valley. Remember the highlight on 23 March 2019: the Spring Race Party with fun ski races from Seceda to Ortisei. At the end of the season, the 24th Sellaronda Ski Marathon will take place on 22 March 2019, while the great, legendary highlight of the season, the Südtirol Gardenissima and the Gardenissima KIDS, will once again demand you to pull out all the stops and to compete in the race of a lifetime. On 30 and 31 March, these tow ski races, will once again attract ski fans from all over the world to Val Gardena with its six kilometres making it the longest and best-known giant slalom in the world. The final highlight will be the "Season's End Ski Party" in Selva Val Gardena with Ugly Cute & Volxrock. 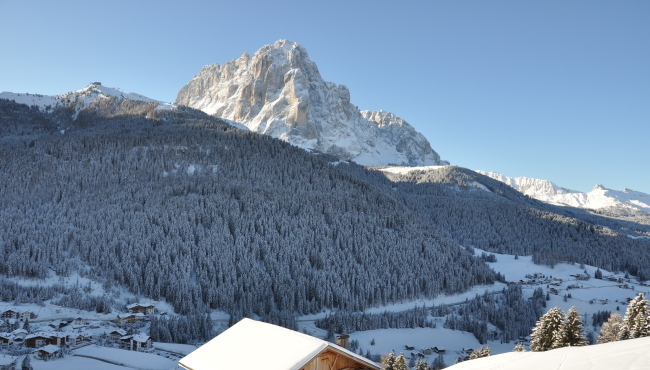 From 16 March 2019 many participating accommodations in Val Gardena grant special conditions: "Val Gardena Super Sun" and "Val Gardena Family Special". 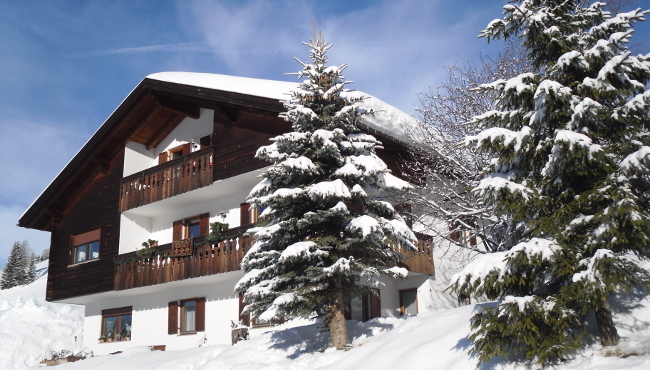 If you stay 6 days or longer, you will receive a free ski holiday day. Skiing in the Dolomites and saving money at the same time! We congratulate our local hero Alex Vinatzer on his outstanding third place in the team competition at the recent Alpine Skiing World Championships in Åre (Sweden) and the gold medal at the recent Junior Alpine Skiing World Championships in Val di Fassa. The Italian team with Alex Vinatzer from Selva Val Gardena, Simon Maurberger from South Tyrol, Irene Curtoni and Lara Della Mea won the duel with Germany and as a result the World Championships bronze medal. Alex has also made sporting history! In fact, he is the third athlete in the history of the Alpine Ski World Championships to bring a world medal to Selva Val Gardena. Before him, Carletto Senoner had won the gold medal in the slalom at the 1966 Ski World Championships in Portillo (Chile), and Peter Runggaldier had won the silver medal in the men's downhill in Saalbach-Hinterglemm (Austria) in 1991. Alex Vinatzer is now also world champion! At the Junior Alpine Skiing World Championships in Val di Fassa, the young slalom skier secured the gold medal in slalom thanks to an incredible performance. So he is now Junior Slalom World Champion! In 2018 Vinatzer won the silver medal at the Junior World Championships. It is the first time that an alpine skier from South Tyrol win a gold medal in slalom at the Junior World Championships. We are proud to be the main sponsor of the young Alex Vinatzer (19 years old), who best represents the values of DOLOMITES Val Gardena: hard work, perseverance, a friendly way, and a great passion for sport!